Snip, the first completely decentralized news platform, will be launching its ICO on September 29, 2017, at 11 PM UTC. This follows an extremely successful pre-sale in which they managed to raise nearly $4 million. News is dead. That is the first sentence of Snip’s whitepaper and it has never been truer than in today’s climate of “fake news” and information overload. A handful of corporations get to decide what is deemed “newsworthy” and readers are left to sift through clickbait, biased news articles, and endless ads. Snip aims to change all of that. Already in operation, Snip’s innovative blockchain-based news platform is unbiased and uncensored. Completely decentralized, Snip gives readers the ability to create customized, easy to digest newsfeeds about the topics that matter most to them. Furthermore, it is the individual reader, not Snip, who determines what is a legitimate news item and what is not, through the use of filters that allow the reader to ignore specific words or sources of content. Contributors benefit from Snip as well and are rewarded with SnipCoins (SNP) based on the popularity of their posts and comments. Further partnerships are expected to develop as Snip grows in popularity. The Snip crowdsale is scheduled to begin on September 29, 2017, at 11 PM UTC. Participants will be able to purchase SnipCoins (SNP) at the current exchange rate of 1 ETH = 78,500 SNP. The hard cap of the crowdsale is $8 million. Once that cap is reached, the crowdsale will end. Prospective investors should note that half of that hard cap has already been reached in the form of a pre-sale that was held last month. 28% will be available for purchase in the Snip crowdsale. 30% will be sold in a future token sale and locked for a period of 3 years. 21% will be reserved for the initial pool of contributor rewards. 5% is designated for the Snip company for internal use and for its advisors and partner companies. Snip employees and founders will not hold tokens prior to the sale and will not be rewarded with tokens in the first 6 months after the sale. 5% will be designated for bounties. For more information about the Snip ICO please visit the official website and download the project whitepaper. What do you think of Snip’s decentralized news platform? How will it impact the current news industry? Let us know in the comments below. “We’ll help you launch a successful ICO.” Will they? The ICO is still booming; there’s a new way for companies to attract investment, while crypto holders know their “new money” now offers one more way to increase profits. Where there is demand, there is supply. The so-called “ICO full-range service” agencies promise the best quality, speed, and results with little or no input from the client’s side. All you need to do is pay. I can personally vouch for the high interest in this type of service. I have tons of personal messages and emails from people asking to launch their ICO for a significant amount of money. But my response is always the same: there is no such thing as an “ICO turnkey project” and there never will be. The thing is that if you could come to some company or agency with an idea and appropriate sum of money, and get a guaranteed outcome of $5 – 50 mln, I would do it myself! I would use my own money and launch three ICOs a week. The crowdfunding mechanism works when you have a clear vision regarding your project and an experienced team able to execute it, not when your idea is sold in the right way. But with no talented managerial stuff or technical specialists, there might be no point in even discussing your project. Full-range services for ICOs: Do they really exist? There are differing offers for full range ICO services from marketing specialists, lawyers, and entrepreneurs, along with con artists willing to steal your money. Every one of them has their vision of different aspects of the process. But how can a marketing specialist ensure all the legal aspects are covered? Or say, a lawyer manage traffic flow? They’ll hire an expert in the relevant field using your money. In my personal opinion, there are no experienced “full service” teams of professionals on the market right now. The unfortunate flip side of enormous growth in ICO activity is that the few experienced specialists out there will most likely charge very high fees for their services. And if your project is not a tokenized Ponzi scheme, it might be a good idea to find another way. And there is. What is it? It’s as simple as this: invite attorneys with relevant ICO experience and engage IR specialists with access to investor pools. As for the rest of the ICO industry, social media marketing, traffic flow, media buying, and PR differ only by the platform you choose, settings, and professional contact list. Consider doing it yourself. Almost all successful startups decided to go down this route once. Unfortunately, con artists have managed to undermine trust for some investors already. Those who are still interested demand transparency. This sounds fair, and you really need to invest in it. The fact that ICOs and IPOs are becoming quite similar processes means that the market is maturing. There are even ICO ratings agencies. You are fully capable of doing your own due diligence or getting help from experts. And if you have the community involved in your project, that will be a plus point for your potential investors. An involved community is always a good thing, so you should leverage them anyway. I firmly believe that technology or a structure-based project will prompt industry growth. But I tend not to believe in fairy tales. If you have serious intentions of launching a great project, hire professionals but manage the process personally. Make sure your investors’ money is safe. This is an English translation. The original article was published on Forbes.ru September 25, 2017. This article was written by Vladimir Smerkis, Managing Partner at The Token Fund. What do you think about the best way of launching an ICO? Let us know in the comments below! Austin Petersen, a candidate for the US Senate in Missouri, is making some waves as he is accepting Bitcoin for campaign contributions. It’s a given that you’ll hear complaints about “big money” flowing into campaigns during the election season. Of course, the sad reality is that politicians are bought and paid for all the time as running a campaign is extremely costly. What has become really interesting is seeing cryptocurrency coming into play for political campaigns. A candidate for the US Senate in Missouri, Austin Petersen, is making some news as his campaign is accepting Bitcoin for contributions. Austin Petersen is running as the “opt out” candidate in Missouri. He believes that Americans should be free to choose on whether to participate in government programs, such as Social Security. 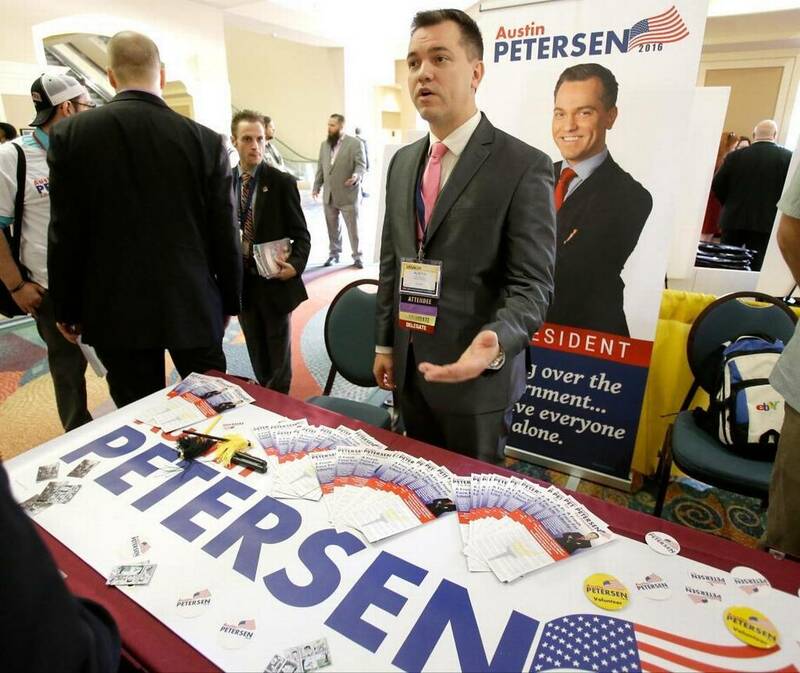 Petersen was a long time member of the Libertarian party, but he recently switched to becoming a Republican as he felt it was time to take that particular party back to its roots of individual liberty. One way that he’s manifesting his “opt out” mantra and focusing on personal choice is allowing individuals to donate to his campaign with Bitcoin. He says that this allows people to opt out of using the US dollar if they wish. Bitcoin is one of those issues that has actually got a huge community. I mean there are bitcoin millionaires out there. And we might be able to tap into that market because there will probably be no other candidates who will be better on that issue. I really would like to see deregulation on monetary policy. Austin Petersen is not the first politician to accept Bitcoin for campaign contributions. Senator Rand Paul accepted them for his 2016 presidential campaign, and there have been a smattering of other candidates as well. However, using Bitcoin to make a campaign contribution cannot be anonymous. 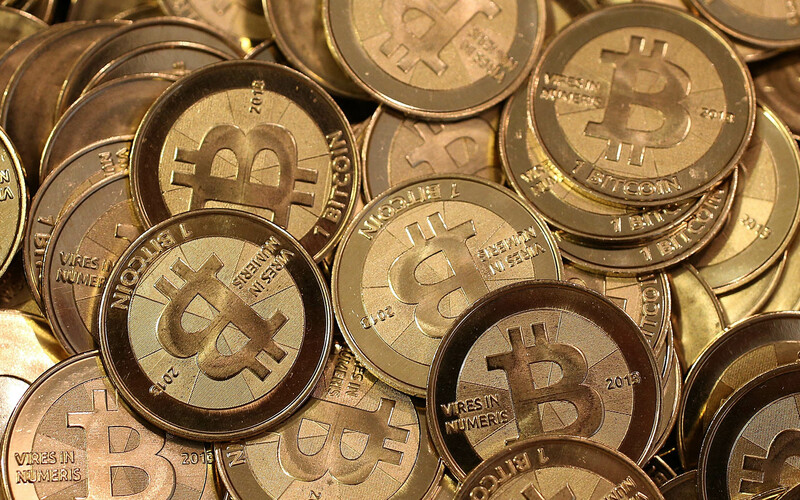 The Federal Election Commission has stated that Bitcoin is an in-kind gift and that they must be properly reported. This means that the donor has to give up their name, address, and other personal information. In addition, the normal campaign contribution limits of $2,700 for individual candidates and $5,000 for multi-candidate PACs still apply. The Missouri candidate is also making news besides his Bitcoin acceptance. His personal account was recently banned from Facebook for 30 days for discussing a raffle he is holding where a person can win an AR-15 that a donor gave to him. One does not have to make a donation, Bitcoin or otherwise, to take part in the raffle. But barring that, at a minimum I would like to introduce legislation that would decentralize the monetary unit, the dollar, in such a way as to legalize competition: Gold silver and cryptocurrencies, so that they can compete. That would cause a spike in the prices. Decentralization, if it’s good for markets, why isn’t it good for money? What do you think about Bitcoin and other digital currencies becoming part of political fundraising? Let us know in the comments below. Images courtesy of The Wichita Eagle, Pexels, and the Bitcoinist archives. South Korea has had Bitcoin fever in the past few weeks, and the fire just continues to be fueled. Top exchange Korbit has been acquired by gaming company giant Nexon for 91 billion Korean won. South Korea has been disrupting the charts when it comes to cryptocurrency trade volume, and the old money is noticing. Many companies in South Korea are hopping aboard the train, investing heavily in the nation’s crypto sector. Bithumb, a Korean exchange, is actually at the top of the charts right now in terms of total trade volume. With this increasing demand, more and more exchanges are popping up taking advantage of the increased interest. Another Korean-based exchange known as Korbit is quickly climbing the ranks as well, recently joining the top 15 exchanges globally. While the company is still new and is a long way behind Bithumb, it is recording more trade volume on certain digital currencies. And some bigger corporations in the region are trying to get in early. Nexon is a gaming company that was founded in the mid 1990’s and is a global leader in MMORPGs and other mobile games. At the beginning of the decade, they moved their corporate headquarters from Seoul to Tokyo, Japan, which also happens to be one of the first nations to declare Bitcoin as legal tender. They purchased Korbit earlier this week for just around 91 billion Korean won, worth roughly $80 million USD. 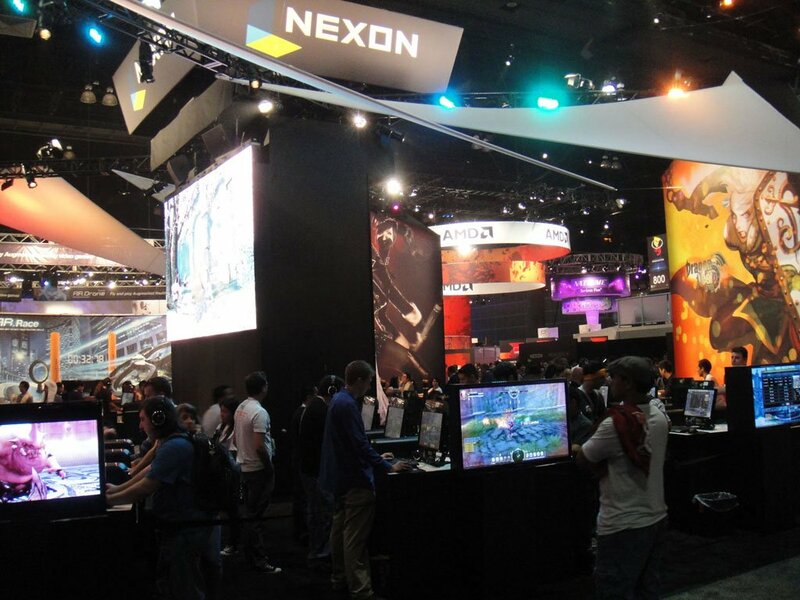 The details of the purchase is that Nexon bought 65% of Korbit’s shares and took over all managerial operations. 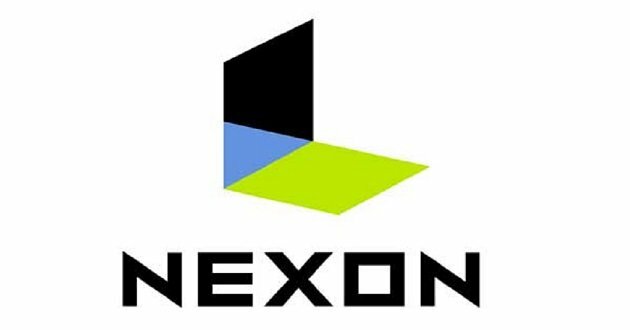 Nexon commented on the agreement, saying they hope to diversify their business model, along with restating their confidence that blockchain technology will continue to grow and become more and more mainstream. Do you think South Korea will continue to become a crypto-giant? Do you think this is the end of the money trail? Let us know in the comments below! Pictures courtesy of Pixabay and Wikimedia Commons. Bitcoinist spoke with Viktor Shpakovsky and Vladimir Smerkis, the founders of The Token Fund, which allows investors an easy portal into the world of cryptocurrency trading, investment, and management. Bitcoinist: Tell us about The Token Fund in your own words. What makes The Token Fund similar to other funds and in what ways is it unique? Vladimir: We launched The Token Fund in March 2017. Over the past five months, the portfolio under our management has reached about $2 million USD, and our performance updated to the date is 380% in USD. 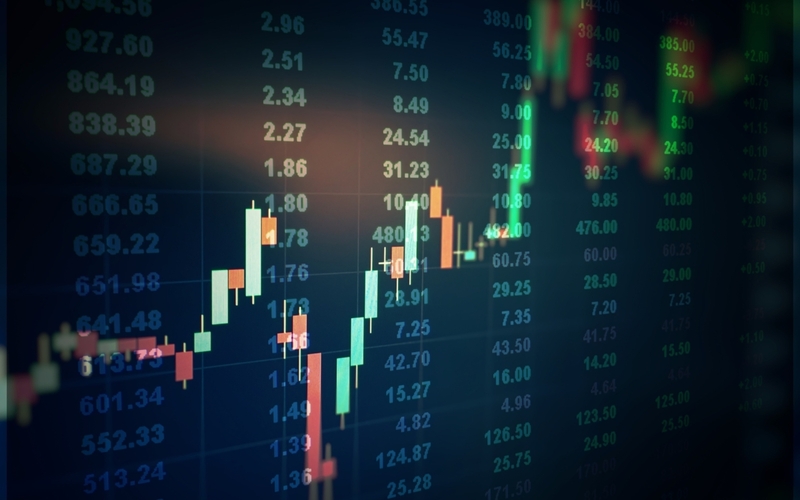 The model here resembles that of classic ETFs (exchange-traded funds), something that for the past 20 years has remained one of the most popular tools for both institutional and private investors, primarily due to the entry and exit features. Just like with shares in traditional ETFs, investors of The Token Fund buy the fund’s tokens (TKN), paying in BTC and ETH. The price of tokens depends on the size of the assets in the fund’s portfolio. Viktor: Higher liquidity of our investments sets us apart from a number of hedge funds on the cryptocurrency market. We have decidedly done away with entry barriers that have hampered consumers in the past. At The Token Fund, there are no requirements for minimum investment sizes or onerous terms. To join our ranks, all one needs is some BTC or ETH in his or her wallet. That is also where the funds will be returned whenever one decides to exit the fund if they choose to do so. Moreover, blockchain enables full transparency of all the operations. Our investors can see the wallets and all the activity that occurs, which ensures that any fraud or manipulation is impossible. Our portfolio is managed manually and changes at least once a day, and all actions are transparent to our investors throughout the day. At the moment, we have over 25 different crypto assets in our portfolio. Bitcoinist: Can you tell us about your journey into the crypto-market as well as your experience in the cryptocurrency world? of that nascent market. I started following and analyzing it. After a couple of years, the inner workings of the intricate mechanism more or less dawned on me; I finally had in my head the full picture of the system and its potential. It was at that point when I switched from theory to practice, starting to trade independently in blockchain assets. Later, with a few years’ experience under my belt, I partnered with Vladimir to shape the idea of a fund. We have an excellent team at The Token Fund, but I’ll let Vladimir tell his side of the story. Vladimir: I was brought to the cryptocurrency market following the story of the founder of Ethereum, Vitaly Buterin. I was Deputy Vice President for International Development at the Mail.ru Group back then, and as a person with a digital and marketing background, I was intrigued and fascinated by this whole thing. So I started to study the market and follow the events. Over time, just like Viktor, I started investing privately. In my portfolio, there are over 25 different crypto assets, the lion’s share of which are ETH-based projects. Hordes of new ICOs inflate the volume of transactions, which in turn stimulates more demand. Besides, if you’re holding long-term, Ethereum is a technologically superior platform to the date. By comparison, BTC transactions take a lot more effort and time. Bitcoinist: Why is crypto investing the new hot way to invest? What are the opportunities that have arisen from digital currencies? Vladimir: The initial wave of funding came to the industry for the genuine advantages of the blockchain technology, such as free, open transactions. 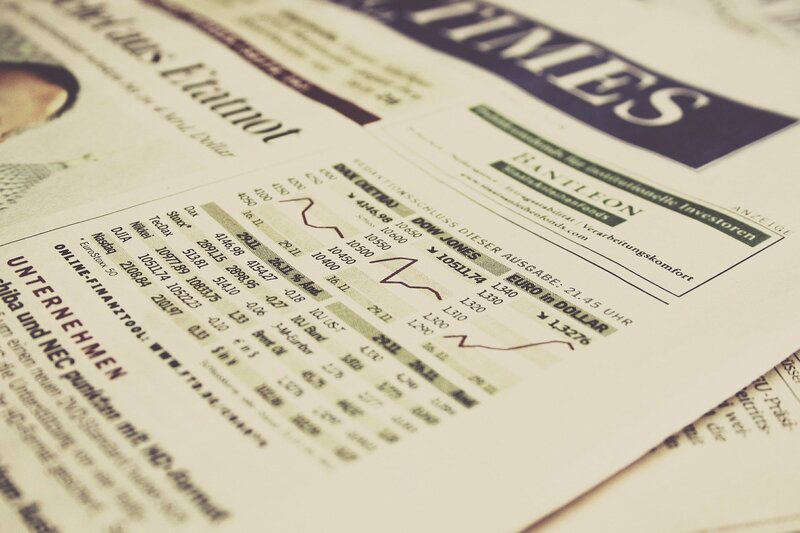 Today, the market dynamics and its potential depend on additional factors, which is attracting a much wider circle of investors. Four years ago, the entire cryptocurrency ecosystem was valued at roughly $1 billion USD. Today, it’s above $130 billion USD, but that amount is just a drop in the bucket when compared to the overall investment opportunities worldwide. The cryptocurrencies market is far from overheated, and it has tremendous potential for further growth. The influx of professional and private investors, including some very large players who are just beginning to appreciate the field, promises manifold growth in the next 2 to 3 years. Viktor: Crypto assets are a good hedging opportunity in the eyes of many investors. A recent case in point is the spark of interest that arose in BTC and other cryptocurrencies when the US and North Korea started trading bold, sharply-worded statements. 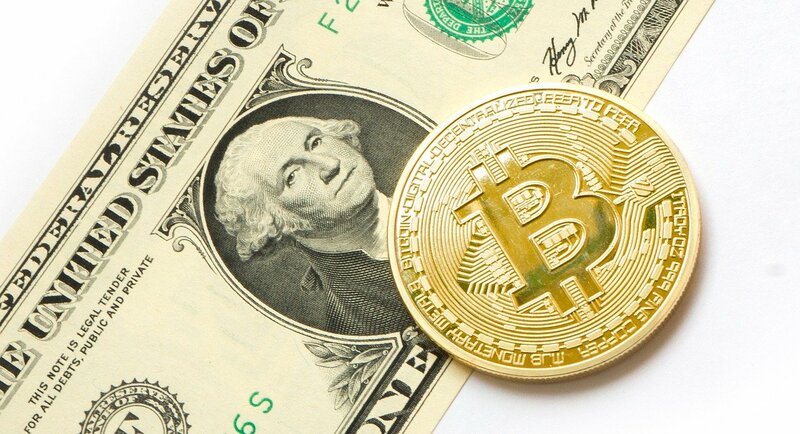 At the moments of geopolitical turmoil, more and more people begin to appreciate BTC, and cryptocurrencies in general, as reserve assets that are also a more reliable instrument of saving. Bitcoinist: How different is crypto portfolio building compared to traditional investor portfolios, and what about the management of these portfolios? In what ways can The Token Fund help investors? Viktor: Bitcoin investors must understand and keep in mind not just the eye-popping profits but also the extreme volatility of this market. Its fluctuations far, far exceed what investors in traditional funds and markets are used to. Always expect drastic changes in rates as there is always a possibility of correction. Vladimir: To retain profitability, there are two winning scenarios for investors: either trade 24/7 or, in the case of a more passive approach, plan for an investment horizon of 6 months or longer. Just like with any investment strategy, it makes sense to set a fixed timeline for turning a profit. After that, use the earnings accumulated to make further investments. Viktor: Besides, there is the well-known golden rule: don’t keep all your eggs in one basket. At any given moment, our portfolio contains over 20 different assets in varying proportions. Along with BTC and ETH, it can include a number of more notable alt-coins, along with tokens of tech and infrastructure projects. We have a staff of professional analysts with traditional backgrounds in banking and investment, and they are always up to speed with the market. 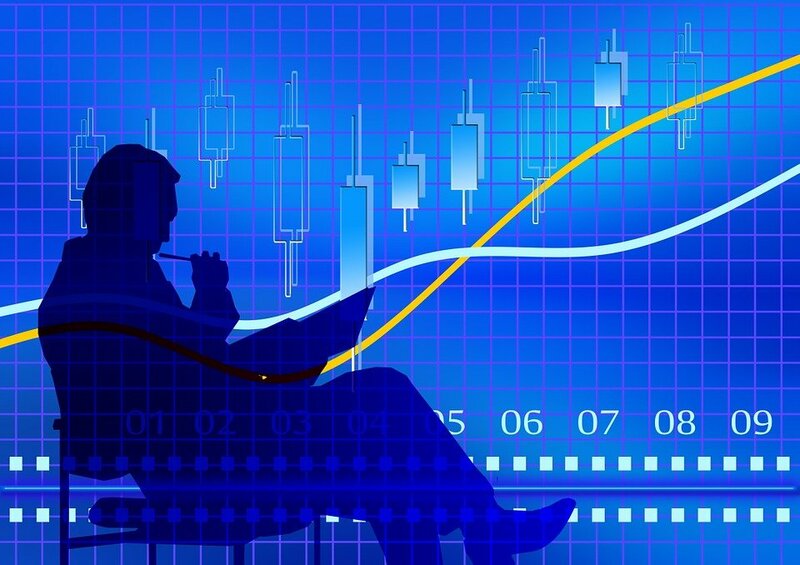 They keep assessing and reassessing the market situation, making several changes a day. Vladimir: It should be noted that the strategy of The Token Fund is at the lower risk end of the spectrum: moderate growth, minimized risks. We prefer not to chase excessive profits, opting instead for safer bets in the interest of the safety of the assets under our management. Before exposing our portfolio to a new instrument, we carefully analyze the market, take a good look at the team and their background, and study the documentation, particularly the white papers. We examine the shares in terms of balance and profitability. For those investors who share our lower risk approach and prefer passive investment strategies, buying TKN, our share-representing crypto tokens, may be the optimal go-to-market strategy. Bitcoinist: Is it good that there is a flow of traditional investors joining the crypto market? What can they add, and how do they benefit from something like The Token Fund? Viktor: Large players and traditional institutions are only beginning to study this market. However, even the biggest sharks in the sea, such as Goldman Sachs and JP Morgan, admit that there’s no way they can further ignore the potential of cryptocurrencies. Consultants from the Big Four are hunting for professionals in this new field and have recently begun to offer legal and tax support for their customers’ blockchain projects. The arrival of the traditional players may drastically increase the size of the market while simultaneously decreasing the market’s volatility a great deal. However, this change will take its time: the market will take the next 2 to 3 years to saturate, stabilize, and establish clearer rules and regulations. Vladimir: We also predict that as the market grows, traditional investors will have to study the technology and learn to work with crypto assets. The market will need new infrastructure solutions to facilitate interactions between the players. The Token Fund’s team is currently planning to develop a new infrastructure ecosystem that will change the way traders interact with passive investors, the announcement of the Tokenbox.io is coming soon. Stay tuned! Do you think that more investors will dip their toes into the realm of digital currencies through The Token Fund? Let us know in the comments below. Cajutel is looking to implement an infrastructure in West Africa for affordable, high-speed internet for the general population. With most of the 1.7 million residents in West Africa not having a connection to the internet, Cajutel has decided to focus in this region before expanding globally. The lack of internet has negatively affected West Africa’s GDP per capita, literacy, as well as its human development index. Having this many people suddenly connected would bring a flow of money, education, and services not before available in this area, opening a myriad of unforeseen opportunities in the future. This project won’t be to revamp existing infrastructure since there isn’t any. Cajutel is simply bringing technology that exists in other areas to places that could benefit from it. Even with the very pessimistic 5 percent population share in 4 years, the business case is predicting, keeping costs down and ensuring a number of people sign up for the services will allow for the high return on investment and profitability. On top of this, the entire infrastructure will be designed to run off of solar power, helping with sustainability and costs in the long term. In order to make this ambitious task possible, Cajutel started the crowd sale of CAJ tokens on August 18. The sale will last until November 18. The total supply of tokens will be 1,780,000, with 1,000,000 available for sale. The rest will be used for token sales, as well as bounty and advertising payouts. The ICO will be planned out in 5 phases, with the price per token increasing from 0.05 ETH in phase one to 0.2 ETH per token in phase 5. $30,000,000 should cover the development of the infrastructure in Guinea-Bissau and Guinea, but a lower goal of $12,000,000 can be met to get Cajutel off the ground in Guinea-Bissau. Once the initial funds are used, Cajutel predicts to break even in a year, where then the company will be self-sufficient and able to sustain its own expansion. Cajutel looks to return on its investment within four years, which token holders will be able to partake in, as tokens represent a share in the platform, and are backed by the company’s asset and earnings. Evolve Fund Group is preparing to launch Canada’s first Bitcoin ETF that will be tradeable on the TSX. Accessing Bitcoin is not easy for many – it is a very complicated and expensive process as investors are currently unable to trade them in a regular brokerage account. An ETF tied to the price of Bitcoin could be a simpler way for investors to participate in its growth. 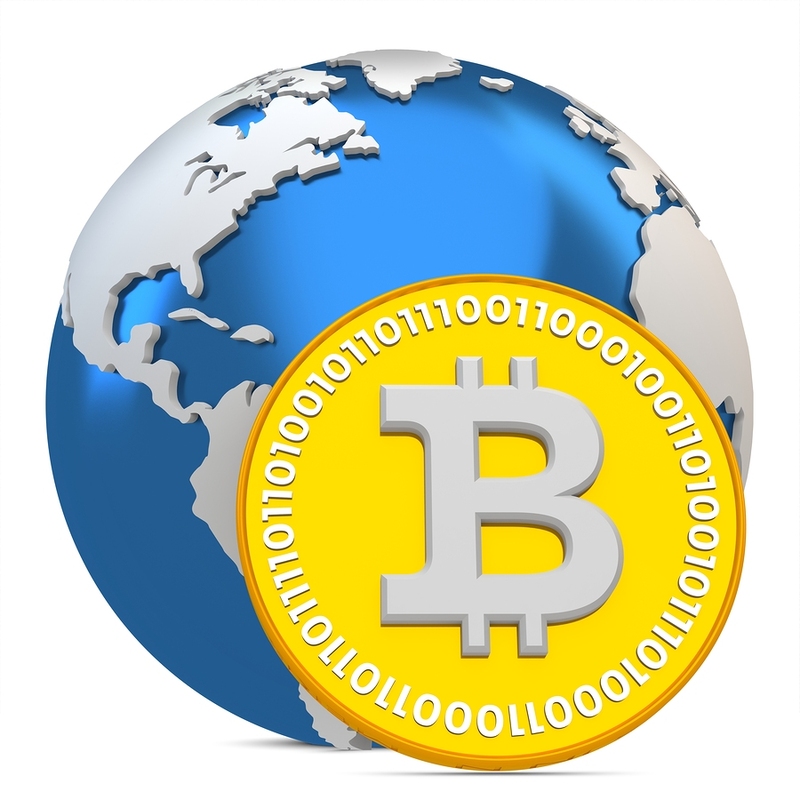 Bitcoin is an online currency that can be sent and received by anyone in the world, relying on computers to control the transfer and creation of money without human intervention. It’s the first decentralized peer-to-peer payment network that is powered by its users with no central authority or middlemen. As more and more of the world goes digital, usage of cryptocurrencies could increase significantly in the coming years. The First North American Bitcoin ETF? The idea of a Bitcoin ETF isn’t exactly new. In the past few years, the U.S. Securities and Exchange Commission (or SEC) has rejected several proposals of Bitcoin ETFs. The most famous case is the one of the Gemini exchange founders, Cameron and Tyler Winklevoss. The most recent news suggests that the SEC is going to review again the Bitcoin ETF proposal of the Winklevoss twins. In case the Canadian Bitcoin ETF gets approved, it could open up Bitcoin for a lot of interested individuals that want to invest in the digital currency. What are your thoughts on the Canadian Bitcoin ETF? Do you think that it will be approved in the future? Let us know in the comments below! Dropfoods, the largest smart vending machine operator in Vietnam, today announced the launch of an Initial Coin Offering (ICO) scheduled for September 21, 2017, to raise US$9 million with the issuance of its own Dropcoins tokens. With the proceeds from its ICO, Dropfoods will install 1,000 new machines that will enable smart transactions using Dropcoins. The key value proposition of Dropfoods lies in the scalability of its business model and plug-and-play infrastructure combining its physical assets (vending machines) and digital assets (mobile application) to install a payment gateway that can advance financial inclusion in a region where more people hold smartphones than bank accounts. Backed by one of Southeast Asia’s largest venture builders with key stakeholders from Japan, South Africa, and Singapore, Sugar Ventures, Dropfoods aims to build the region’s largest network of physical touch points for cross-border transactions and digital remittance. Dropcoins may be converted into government-issued fiat currency for cash withdrawal at the Dropfoods vending machine or to make purchases on the vending machines and on the Dropfoods App. This conversion will be set according to the aftermarket coin value exchange rate. We are excited by the prospects of launching a token that can be a game-changer for the state of play for the financial inclusion of the region’s emerging marketplace. To enable cross-border transactions and digital remittance at close to zero transaction costs will make full use of the digital opportunity presented by the region’s relatively high mobile penetration and enable the underbanked to be included in the formation of a cashless society. Dropcoins will revolutionize the region’s digital marketplace and is a true example of financial technology that applies emerging technologies such as blockchain and artificial intelligence to transform the current financial landscape, clearly distinguished from the realm of ‘techfin’ where you would be just applying technology to enhance existing financial capabilities. Sugar Ventures is founded by Dr. Mark Hon, serial entrepreneur and Chairman of the Business Angel Network South East Asia (BANSEA); and John Fearon, Founder of Telr.com and ASX-listed cloud-based software platform Dropsuite (DSE:ASX). Dropfoods’ investors include Shuhei Morofuji, CEO and founder of venture capital firm and venture builder REAPRA and TSE-listed SMS Co Ltd, one of the largest Asian internet healthcare information platforms; and Chiang Joon-Arn, Managing Partner, Financial Accounting Advisory Services – Asia Pacific – ‎Ernst & Young. Sugar Ventures is one of Southeast Asia’s largest specialized venture builders. Focused on nurturing greenfield ideas that will transform the region’s emerging economies, it has built and invested in 11 companies to date, including Dropfoods, OEScore, ITGLOO, Folr.com, LAWR, Meet Drinks, Kluje.com. Voice Map, Hot Soup, Swallows, and Amazons Pre-School and Invictus International School. Unlike traditional accelerators or incubators, Sugar Ventures seeks to unearth great start-ups from the ideation stage, provide seed funding, support their organic growth and work towards a flourishing exit in the process. Ethbet, the first gambling platform on the Ethereum blockchain that has announced support for peer-to-peer betting, opened its much-anticipated crowdsale on September 17th. Within the first day, over 70% of available tokens were purchased, leaving the crowdsale with only 30% of its tokens remaining. At its current rate, the crowdsale is expected to sell out soon, after which point it will permanently close to new investors. One of the reasons investors are so excited about Ethbet’s crowdsale when there are so many alternative investments available is that the hard cap of the crowdsale is only 5,000ETH – significantly less than what most other companies ask for. Due to this low initial hard cap, investors believe that there is a lot of room for upwards growth. If Ethbet’s market cap is able to approach that of its competitors, investors could realize returns as high as 2000% or more. The unique feature that drives many towards Ethbet is that it will be the first Ethereum-based platform to allow players to bet directly against each other, a feature not yet offered by any of its competitors. Utilizing the advantages of its peer-to-peer architecture, Ethbet is able to offer lower fees to its players, as they bet against each other instead of against a house. Some other Ethbet features include a provably-fair source of randomness, transparent betting, open-source smart contracts, and no need for user deposits, withdrawals, or registration. With future plans including the ability to gamble using any Ethereum-based token to be added to the platform, investors are convinced that there is a lot to look forward to in the coming months. The Ethbet platform features an off-chain matchmaking service, allowing users to efficiently offer and take bets. This is done off of the blockchain to allow bets to be relayed instantly and for free. After a match can be made between the desires of two users, the bet can be executed on the blockchain using an Ethereum smart contract, providing a high level of security, redundancy, and transparency. Thanks to this architecture, the Ethbet platform is hoping to become a major player in the world of Ethereum-based dicing in the near future. The Ethbet Crowdsale began on September 17th at 8 PM UTC. Although most tokens were sold during the first day, it still remains open to new investors that are interested in becoming a part of its platform. To learn more information about Ethbet, check out their website at https://ethbet.io/ as well as their whitepaper at https://ethbet.io/whitepaper.pdf. With properties increasingly being sold for Bitcoin, one Realtor sees Miami as an ideal location for making Bitcoin payments a much more regular means of purchasing property. Bitcoin enthusiast and Realtor associate Stephan Burke first discovered Bitcoin in 2014 when he sold a Miami property to an early Bitcoin investor. 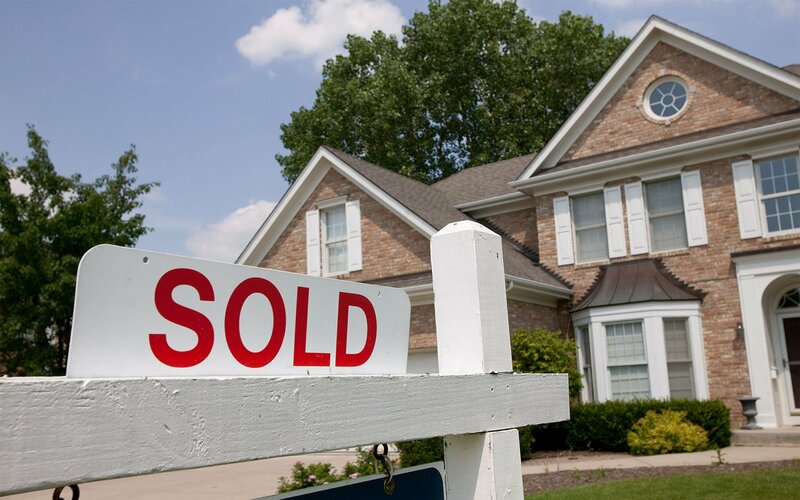 When the buyer later wanted to sell this same property, there was a condition to the terms of sale – Burke had to advertise that the house was available to purchase for Bitcoin in addition to traditional forms of payment. Burke has now gone on to offer the property for resale here for a $6.5 million sum, approximately 1,600 BTC. He now believes his actions are on the leading edge of a new economic trend, something that will transform how the real estate industry conducts its business and he particularly highlights South Florida as an ideal case in point. Does anyone know of a globally friendly city that might embrace a digital currency which moves legally and safely across borders, allowing international buyers to retain the value of their money? 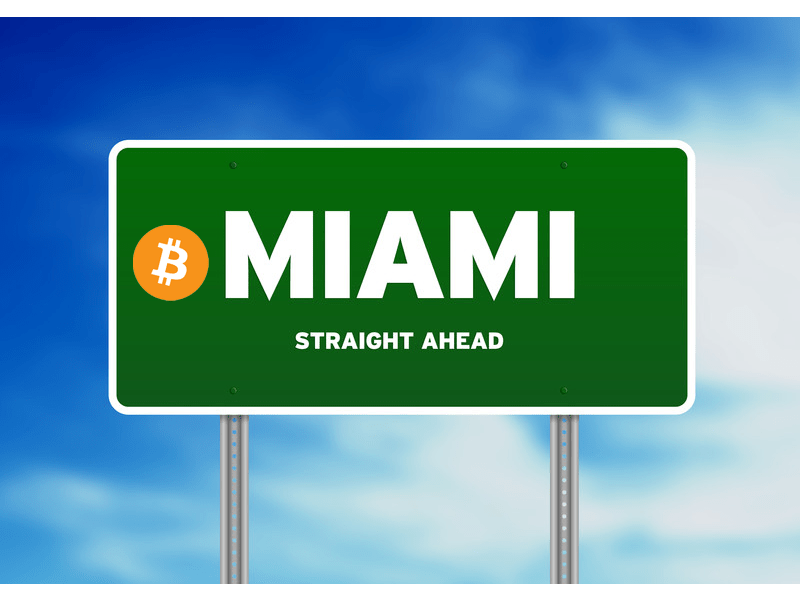 Miami is an ideal market for Bitcoin, giving buyers and investors from South America, Canada, Russia, Asia, and the Middle East the opportunity to make their purchases quickly and smoothly. It is not just Miami either, there are many globally friendly cities set to benefit, but Miami is helping lead the way alongside other initiatives, such as these investment properties in Dubai which are considered to be the worlds largest investment opportunity accepting payment in Bitcoin. Industries, businesses, and careers are being affected by this dramatic globalization and modernization, and real estate is no different. It seems clear to me that banks and title companies will be doing everything in a crypto-recorded fashion within the next decade, and our transactions will eventually become faster — and safer — under this system. Bitcoin and the blockchain are ideally positioned to aid in international payments, especially in regards to the transfer of large sums internationally. Doing so and doing it legally could save savvy investors a lot of money in fees that banks would otherwise be charging them. The promise here though is that there will be a revolution in how processes such as buying property can be streamlined and documented on the blockchain by cutting out notaries and other third parties, helping to not only speed up the process but also making it cheaper and more secure. Will luxury properties like this eventually filter down to more affordable Bitcoin property purchases? Have you bought your house for Bitcoin? Let us know in the comments below. Images courtesy of Wikimedia Commons and the Bitcoinist archives.